The volume, size, and sophistication of DDoS attacks have increased rapidly over the years. 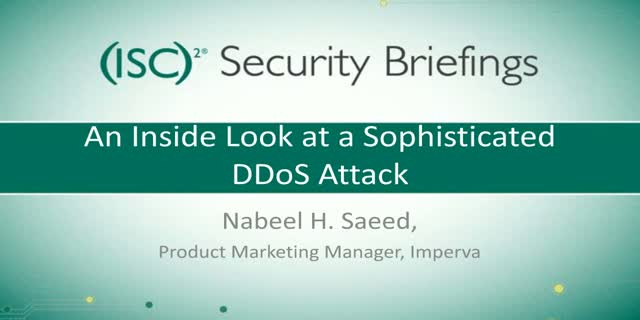 Is your organization prepared for today’s modern, multi-vector DDoS offensives? Join Imperva and (ISC)2 on May 19, 2016, at 1:00 PM Eastern for the final part of a three-part Security Briefing series where we’ll specifically explore the anatomy and timeline of a complex DDoS attack, as well as the steps used to mitigate each phase of the assault.